Can Your Dog Pinch an Inch or Two? Ever met a dog with the innate ability to be self critical? A dog with an acute introspective view of him or herself? No? It’s unlikely our dogs would ever wake up on a Monday morning and question whether they’d overindulged at the weekend and needed to cut the calories in order to get down to their ideal body weight. By and large, we are 100% responsible for what our dogs eat. In the wild, dogs use energy to acquire food and, as nature intended it, will essentially burn just about the perfect amount of energy/calories in balance with what they consume. In domestic situations this balance can be lost. Twelve million UK pets are being fed too many fatty treats, including takeaways, cheese, crisps and cakes, often on a daily basis, which is fuelling the UK pet obesity epidemic. That is the finding of the biggest national pet health report conducted by leading veterinary charity, PDSA. What is even more concerning, according to the animal health and welfare charity, is that 50% of owners say they think treats make their pet happy with just 2% confessing to feeling any guilt about feeding naughty treats. And with just one cube of cheese given to a medium sized dog the equivalent of us eating four shortbread biscuits, half a margherita pizza, or one and a half burgers, we need to consider what we give our pets and the potential for long-term illnesses as a result. The PFMA, who recently launched Weigh In Wednesday’s also claim that by keeping pets at their ideal body size, their lifespan can be extended by up to 2 years, which is huge. Older dogs are about twice as likely to be overweight as younger dogs. This is most commonly due to owner’s maintaining the same diet for a dog who had greatly reduced their physical output due to slowing down with age. Ask yourself this, can you eat the same food you did when you were a teenager without gaining weight? If you can, you’re one of the lucky few. Given the fact we know our dogs are, as a population, getting fatter, the question we should be able to regularly ask and answer is: is MY dog overweight and, if so, what can I do about it? 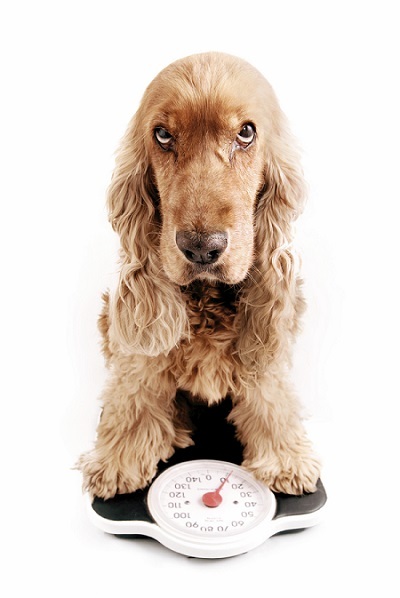 Here are four quick ways to make an initial evaluation of your pet’s weight. Remember though, regular veterinary or maintenance examinations can give a much better, more accurate view of your pet’s weight and general condition. So many dog owners only visit the vet when their dog is due their annual check-up or is showing signs of illness or injury. 1. Stand over your dog viewing their back-line from above. You should see a distinct indentation showing a defined waistline. Long haired dogs need to be physically examined by hand, try and feel for definition around the waist. 2. When viewing your dog from the side, can you make out the shape of the rib cage when your dog breathes in? Again, with a long haired dog, this examination needs to be done by hand. If your dog does not have a discernible waistline from above or the side, they could be overweight, If you require further assurances speak to your vet. 3. Look at pictures of your pet from when they were in their peak shape. Has their face changed? Is there more signs of excess skin or a rounding of the face (loss of definition)? Many a successful diet has been prompted by looking at unflattering photographs. Use photos to compare your dog’s current shape to how they looked when they were at their best. Remember, we can’t expect to maintain the health and shape from our youth but we can (and should) always seek to ensure our dogs are in the peak shape for their age, breed and life stage (here are some of the most common age-related reasons dogs can gain weight). 4. Keep a food diary to track what your dog eats on a daily basis, and use this to help you identify the extra 1/2 biscuit here and there contributing to the problem. Download your own food diary here. During your weight loss journey, why not also download your dog his own weight loss certificate to celebrate the moment. Create your own here. 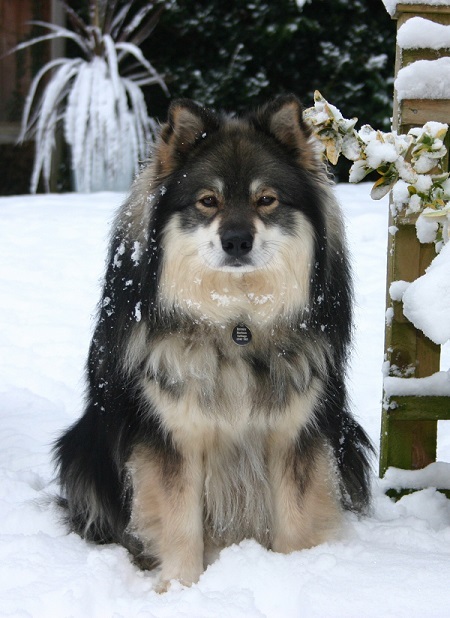 Mylo is a 7 year old Finnish Laphund who lost 1.7kg in 16 weeks, with a final weight of 17.8kg, the ideal weight for his breed. 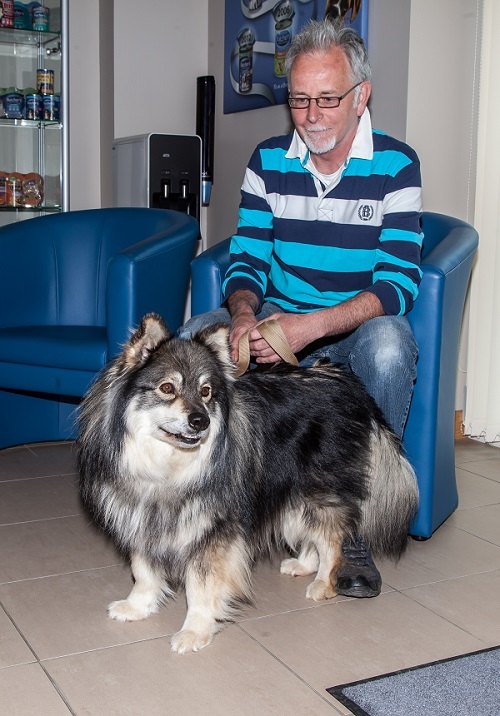 Mylo is a very active dog, his owner, Simon first noticed him gain weight after being neutered when he became very food driven. 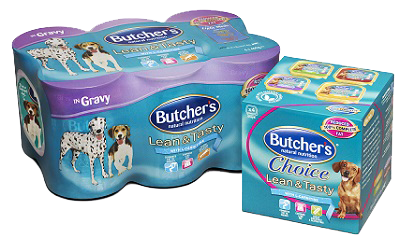 Simon who owns other Laphund’s and looks after many dogs for other people told us “It is really easy to miss the signs of your dog being overweight but it isn’t hard to lose that excess weight – Butcher’s Lean & Tasty really does work!” stating that Mylo “is as fit as he has ever been”. Choosing the right natural dog food can be a huge part of your dog’s success, like Mylo’s. Some foods, such as the variety Mylo enjoys, include less calories for a start without missing out on the nutrients your dog needs to live a happy, healthy life. Don’t be embarrassed to ask for help, remember that tackling the problem could give you up to two extra years with your dog. That’s got to be worth it, hasn’t it? Is A Meat Diet Good For Dogs?